Qantas' flagship lounge is a fantastic space that feels undeniably Australian and very special indeed. The sleek white marble, mid-century nods to the golden age of aviation and expansive runways views make visiting this facility feel like a real occasion. The dining experience is genuinely worth making time for, with dishes and wines that will excite and surprise you just as they would in a top restaurant in the city. Upon making our way to the chaotic reception desks it became immediately obvious why. The place was absolutely overrun with people. If you're looking for an oasis of tranquility, this is not your place. I did my best to snap pictures where I could but there were so many people absolutely everywhere that it was quite hard to do so without featuring strangers looking straight down my lens. In stark contrast to Etihad's regional competitor Qatar, there was no separate priority bus for Business Class passengers, we were crammed in like weekday commuters on the Yamanote circle line, with temperatures outside north of 35 degrees. Thankfully, the aircon was working! Still I cant deny it it, I do love bus gates when it's sunny and humid outside. There's an undeniable holiday feeling about the whole process when the weather cooperates. The aircraft on the return featured the same shorthaul Recaro recliner seats as the outbound. I like the comfortable mixture of a leather headrest and fabric seat combined with the large pillows and squishy blanket. As somebody that lives in Europe I never cease to be amazed when I get to experience ACTUAL short-haul business class, with a business class seat! Still I cant deny it it, I do love bus gates when it's sunny and humid outside. There's an undeniable holiday feeling about the whole process when the weather cooperates. 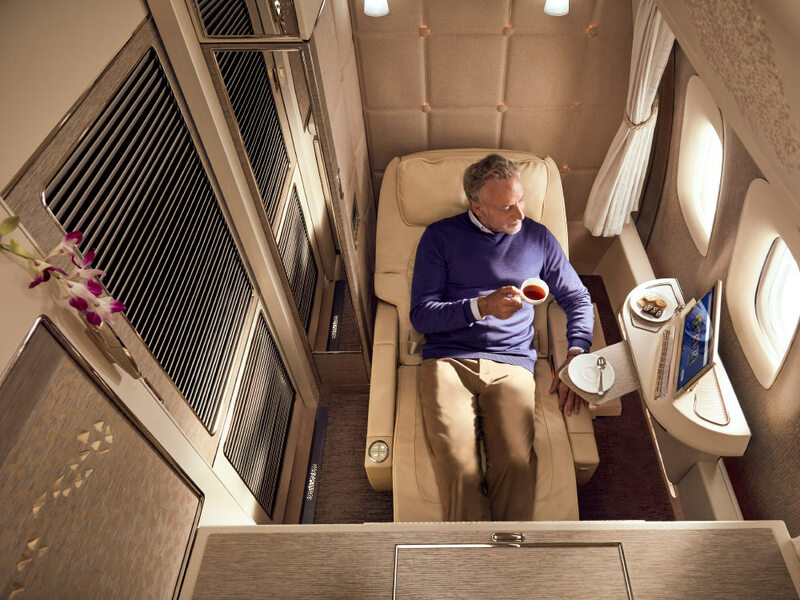 After an absolutely spectacular outbound flight in the First Class Apartments I was really curious to see how the business class product would pan out. Given that I would be heading straight to the office from this flight, my priorities were a little different than on the outbound. Basically I just wanted to get to sleep in comfort and enjoy some privacy and quiet. I wasn't looking for tons of attention and I was already stuffed from the food at the lounge and on the flight from MLE. The number one most powerful tool in my travelling arsenal. The one card I never leave home without.